According to the US Parachute Association, nearly 3 million jumps are made each year by experienced and inexperienced skydivers. There is a popular question of why do people skydive, but the better question to ask is why don’t people jump? It is hard to accurately describe the exhilarating thrill of jumping out of a perfectly good airplane. Although it sounds intimidating, there is a sense of accomplishment after you have plummeted 14,000 ft at 120 mph! Most would assume that you feel the same stomach dropping sensation that is experienced on a roller coaster, but that couldn’t be further from the truth. The most realistic comparison that exists would be to stick your head out of a car window as you speed down the highway. Even if you don’t like the experience of freefall, it only lasts about a minute long. From there, the parachute is pulled and you get to float peacefully back down to the Earth’s surface while observing breathtaking scenery that will make you not want to come back down! Skydiving has also been known to give you a break from reality since the last thing that you will be worried about is your work or stress. It is important to understand the risk of skydiving before taking the leap. According to the USPA, there is a 0.0007% chance of fatality, which is statistically less of a risk than driving a car. The community that the sport brings is that of no other. Skydiving is a social activity, it can give you a different perspective from skydivers with different backgrounds, income, and employment. At the end of the day, a majority of skydivers choose to continue their testing of fate because of the sense of freedom that is experienced. Like any other type of therapy, it is about challenging yourself to believe that you are capable of doing much more than you think. It doesn’t matter what your personal reasons for skydiving are. If you are looking to check this thrill off of your bucket list, make sure that you are jumping with a reputable company. 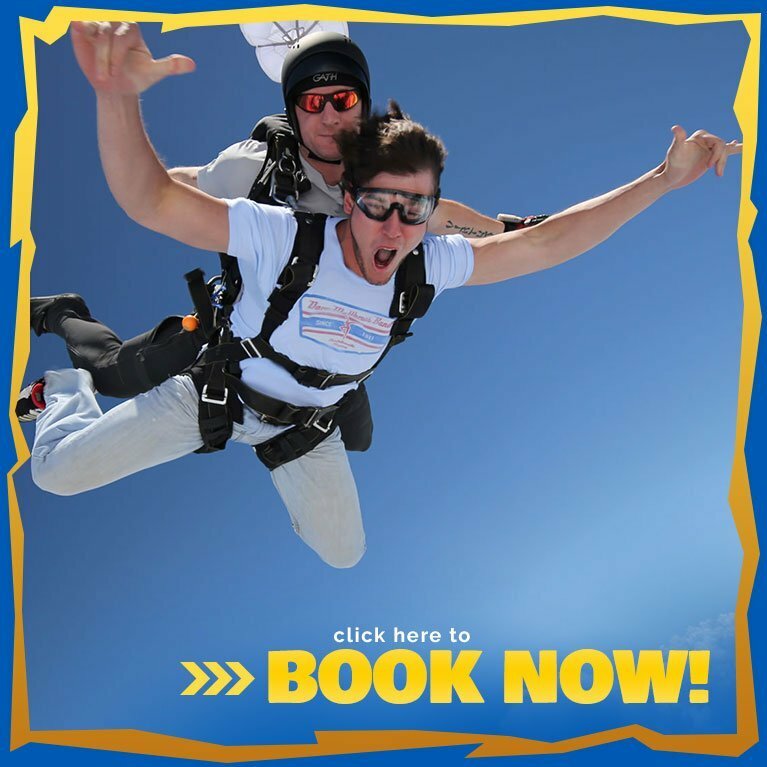 Skydive Georgia can offer you a safe and exhilarating skydiving experience! Call 770-614-3483 for more information or to get scheduled today!